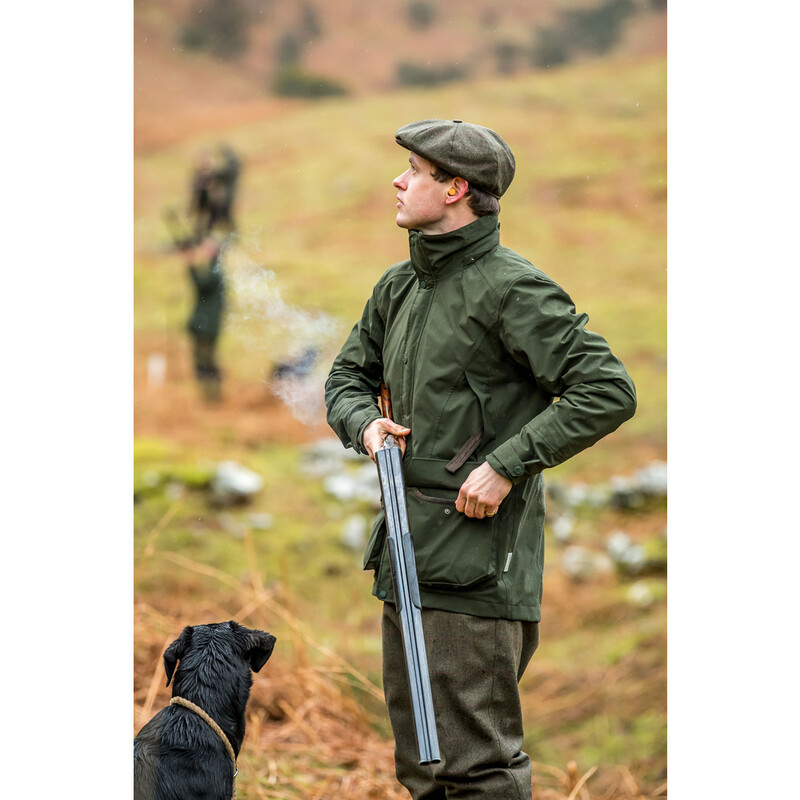 The latest addition to the Schoffel Ptarmigan shooting coat range, our Ptarmigan Pro Coat in Forest is our most technically-advanced shooting coat to date. Constructed from GORE-TEX® 3-layer laminate fabric, this coat is 100% waterproof and windproof for ultimate protection from the elements. 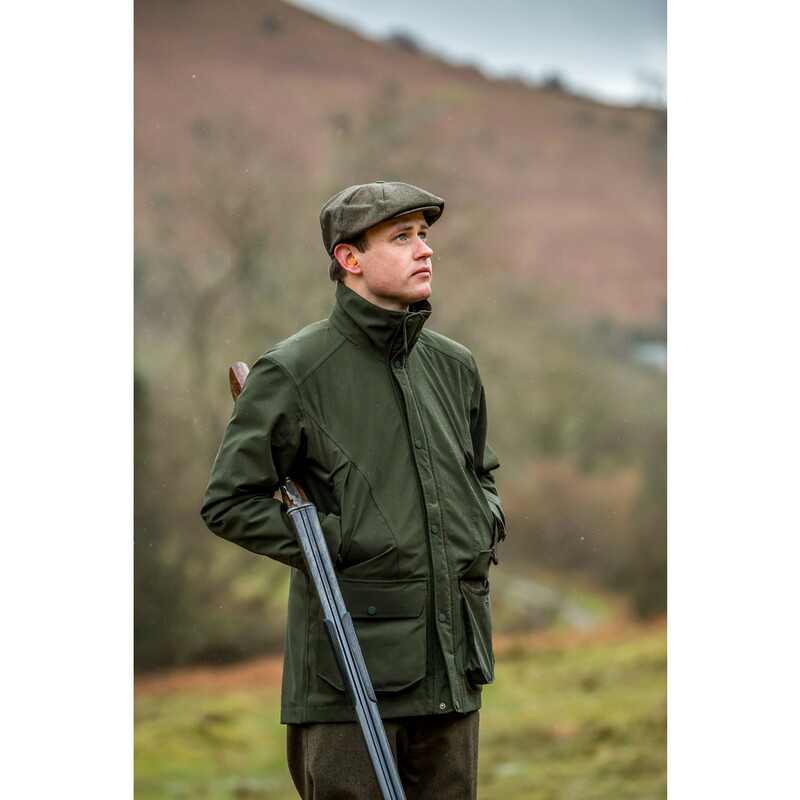 Crafted with a contemporary sport cut from two-way stretch fabric, this shooting coat has complete range of movement, giving the ultimate lift whilst maintaining an essential fit, meaning a less restrictive wear. The fabric build of this jacket consists of 3 layers with a GORE-TEX® membrane bonded to both the outer fabric and the inner lining. 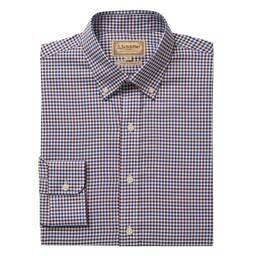 By laminating the lining inside the jacket, there is no movement between layers, offering enhanced durability and less wear and tear. 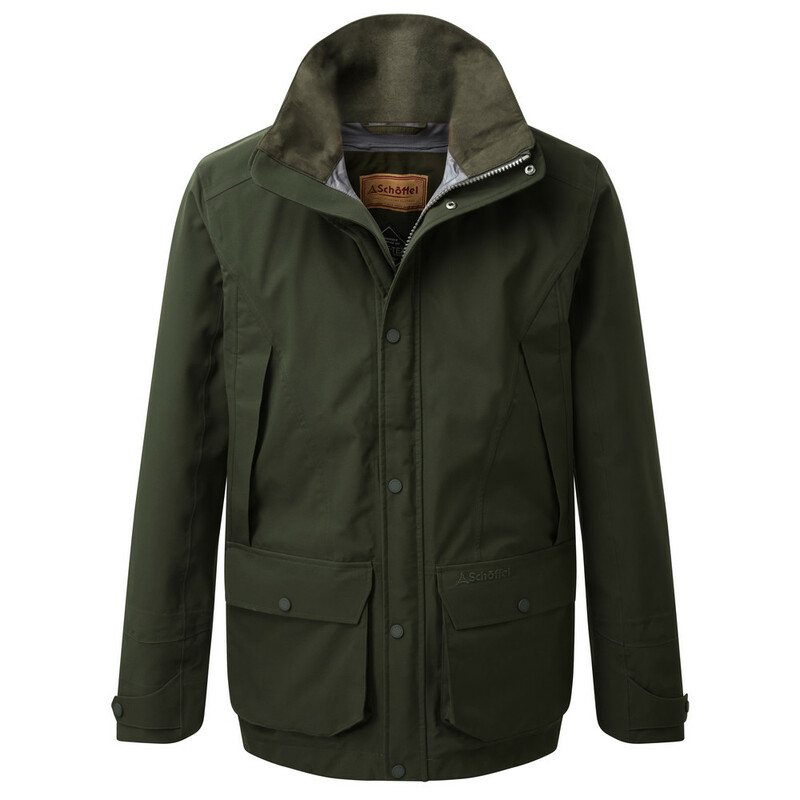 The waterproof outer fabric repels all water making this jacket perfect for even the most extreme of weather conditions. 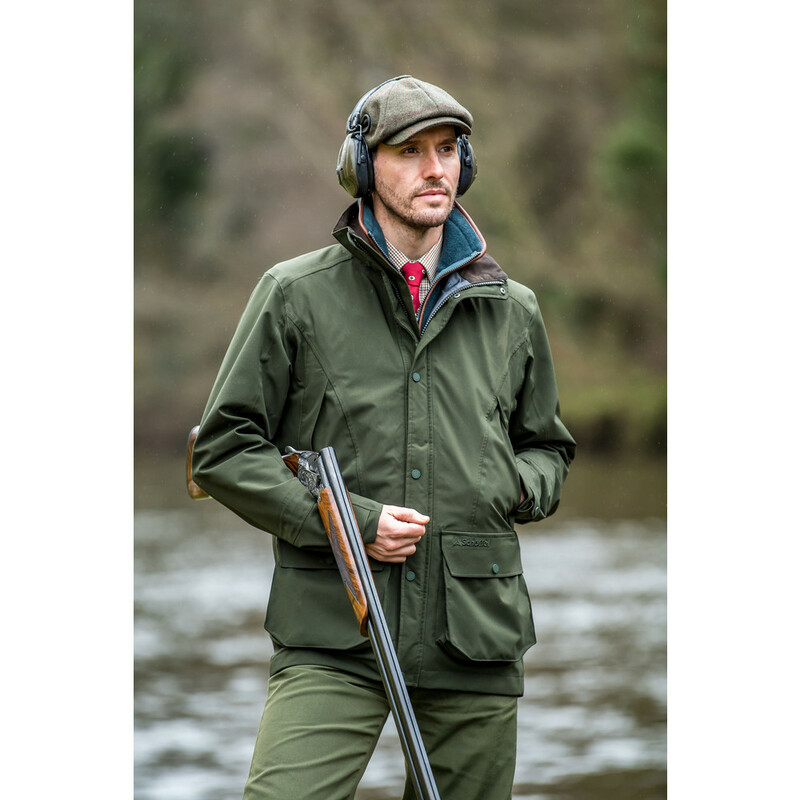 Designed for shooting, this jacket has all the essential features you need including reinforced bellows cartridge pockets with retainer straps and drainage holes as well as a removable recoil protection pad which can be used on either shoulder. 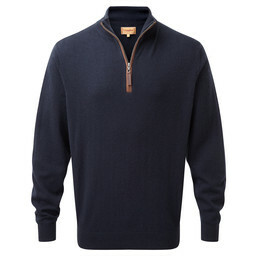 Internal security pockets offer you somewhere to store valuables while the microfleece lined hand-warming pockets on the chest provide essential warmth. 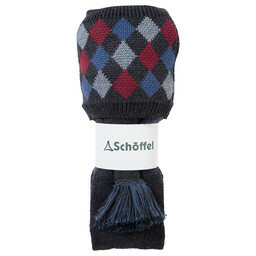 To complete this shooting coat, extra features include a detachable hood and adjustable storm cuffs while Schoffel embroidered details finish this jacket off perfectly.